It’s a popular thing to want to ‘lighten up’ at the start of a new year, and this holds true for hair color too! 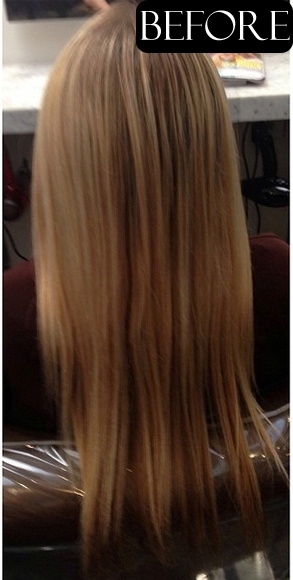 This gorgeous blonde upgrade was done by colorist Meaghan Jones. Book an appointment for your highlights with Meaghan by calling the salon at 310.275.2808. What size curling iron would you use to achieve this beachy curls? 1 1/4 inch to 1 1/2 inch – we like using any of the Hot Tools curling irons. Gorgeous! Is it just highlights or did you do all over color too? Was there a toner used? Toner is used all over after rinsing out the highlight formula. What colors where used on her hair? The highlight and the top base color?